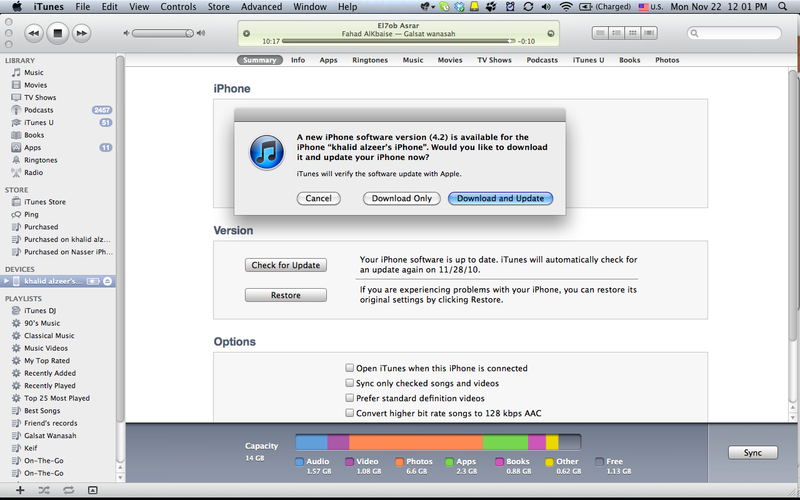 iOS 4.2 is now available, thanks Khalid. 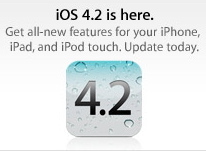 Apple has announced that they will release iOS 4.2 today for the iPad, iPhone and iPod touch. The update is expected to be available at 9:00 pm Saudi Arabia time. 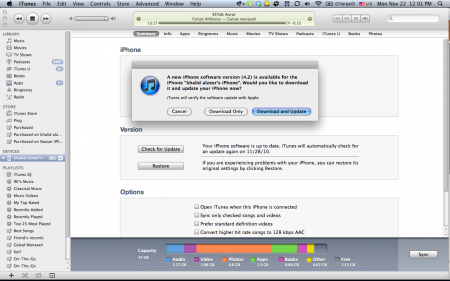 To install the update you need to have the latest iTunes 10.1.
iOS 4.2 update adds a few features but the most important feature for the Middle East is the addition of Arabic input and interface, even though the Arabic keyboard looked weird in the beta. Also MobileMe’s Find My iPhone feature is now free for iPhone 4, iPod touch 4G and iPad users. tried to update, but keeps telling me that i have the latest version 4.1 ???? What the hell!!!!! Does the iphoneislam facetime activator work with this or did apple patch it? I’ve jsut finished upgrading the ios on my iPAD. the Arabic Font support is still crappy! most of the pdf books that I have are in “Simplified Arabic” font, and they are still coming as Girblish! anybody can confirm the Arabic keyboard availability?